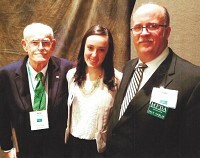 Dale and Pamela Hanlin are the family's third generation to follow in the funeral profession. They are honored to be the third generation and seeing the family business now in its 90th year of service to the community, and to serve the Millington community with the foundation philosophy set forth by Dale's grandparents, "Serve others as you would want to be served." "Pam and I are honored to serve our community and proud to be the oldest family-owned funeral home in Tuscola County, and to be the oldest existing family business in Millington." 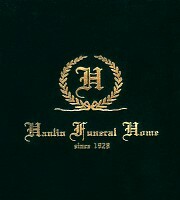 Dale and Pam have operated the Hanlin Funeral Home in Millington since January 1997. It was then that Jerry and his late wife Marion took a less active roll and passed the torch to Dale and Pam. Jerry still serves as Manager and a Consulting Director to the business and still at times assists in the day-to-day operations. Dale and Pam are very active in the community, and have three wonderful daughters and two great sons-in-law. "We work hard side by side to make life's difficult times just a bit easier." Dale is the acting Director of Operations here at the funeral home. Dale grew up in Millington, and graduated from Millington High School class of 1978. After graduating he went on to attend C.S. Mott Community College in Flint, Michigan completing his Associate Degree in Applied Science. He then continued his education at the Cincinnati College of Mortuary Science receiving another Associate Degree in Mortuary Science. In June of 1983 Dale passed and completed the National Board and Michigan State Board examinations and received his Mortuary Science License. In May of 2008 Dale was awarded his Twenty-Five Year Licensee Award. Dale is active in the community with the Fire Department, and has served on various boards at St. Paul Lutheran Church. "I'm honored to carry on the family business and make myself available for our community 24/7 365 for any of your at-need or pre-need concerns. Here at Hanlin Funeral Home it's never about us, it's about the families we have the honor to serve." An honor of which there is none higher. Not only does Pamela work most funerals and visitations, she also operates the funeral home's floral design center, and is the office manager here at the funeral home; she brings 30 years experience in floral designing to make your floral tributes more than just flowers. Pamela J. (Zenker) Hanlin grew up in Clio, Michigan, and graduated from Clio High School class of 1980. She completed general studies with the Genesee County Tech Center which upon her graduation she received her certification in floral culture. She became an employee with the McLee's Flower Shop where she eventually became the lead designer and Assistant Manager. In June of 1984 she and Dale were married and as time passed they became parents of three daughters, Melissa, Stephanie, and Amy. In 1990 Pam opened her own flower shop "Pretty by Pam" and sold it in 2003. Today she works side by side with Dale in the day-to-day operations of the Hanlin Funeral Home. She also is very active at St. Paul Lutheran Church. 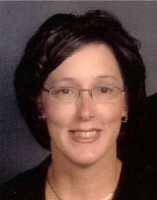 In 2005 Pam became a commissioned Stephens Minister which has helped her with her counseling skills at the funeral home. Not only is she busy helping at the funeral home she is also a full time mom and runs the Hanlin household. "I'm very much honored to serve our families and to assist them with their floral needs to make their final floral tributes that much more meaningful and I'm equally as honored to be a part of the Hanlin family who has a long-standing tradition serving Millington." "Words could never measure what an honor it's been serving Millington." 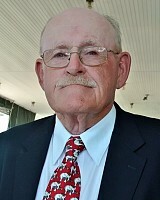 Jerry W. Hanlin grew up in Millington and was a graduate from Millington High School Class of 1951. After high school he went on to Flint Junior College to complete his Associate Degree in applied sciences, after which he then went on to Wayne State University School of Mortuary Science where he received his National & State certifications and in June of 1955 Jerry received his Michigan State Mortuary Science License. Upon completion of his education he returned home to work with his parents Bill and Florence Hanlin, and he along with his late wife Marion took over operations in 1962, becoming the family's second generation to carry on the family profession. In 2005 the Michigan Funeral Directors Association honored Jerry with his Fifty Year Licensee Award. "I'm honored to serve the community that has been my life, an honor for which there could never be any honor higher." "Thank you Millington for allowing my family to serve yours." In 2015 the Michigan Funeral Directors Association will be honoring Jerry with his Sixty Year Licensee Award. Jerry passed peacefully on October 27, 2015 and he leaves us with this. "Swing easy it's just a game be it life or golf." Hanlin Funeral Home has a support staff that is called upon to assist as needed. They are caring individuals who in a small way make a very big difference. The staff understands and works hard to uphold the philosophy that was set as the foundation for the Hanlin Funeral Home 90 plus years ago. They help with visitations and funerals, assist with clerical and administrative duties, and help Dale first-hand in any of the day-to-day operations. Our wonderful support staff: Selwyn (Stu) Stuart, Erwin Proctor, Ted Gamet, Dave Russell, Jeff Bassett, Pat Proctor, Alice Stuart, and Dave Englehart are caring, compassionate individuals, who understand "Serve others as you would want to be served." Jerry, Amy, and Dale Hanlin. Amy has been a resident of Millington her entire life. Growing up next-door to the funeral home and coming in and out looking for her dad or mom, the funeral home, and atmosphere has never bothered her. She as her sisters would from time to time be recruited to take down or put up chairs, move flowers, and clean. Amy was confirmed at St. Paul Lutheran Church were she is still a member, and graduated from Millington High School class of 2013. 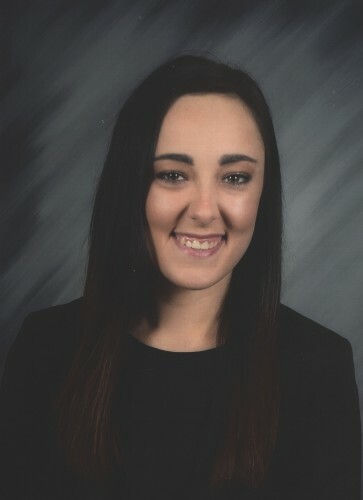 After high school she took some time off from studying and began working for Destinations Bridal Shop in Frankenmuth, MI After some time off from the books she enrolled at C.S Mott Community College in Flint, Michigan and advised the counselor she would be pursuing studies for mortuary science. This past September of 2018 Amy graduated from the Worsham College of Mortuary Science and up on her return to Millington, MI she is currently working on finishing her internship. May of 2018 marked the Hanlin Funeral Home 90th year, and Amy represents the fourth generation of the Hanlin family pursuing a career in the funeral profession. She follows her dad Dale Hanlin [3rd generation] her great-uncle Jerry Hanlin [2nd generation], and her great-great grandparents Florence and Willian (Bill) Hanlin founders.